By applying everything we have learned through our Cod program, it seemed inevitable that we would add Haddock to our line of products. Haddock is a light and flaky whitefish very similar to Cod, and they are sometimes even used as substitutions or replacements for each other, as their market prices seem to fluctuate in a "see-saw" like manner. Our approach to creating a premium grade Haddock was to place high importance on proper protective glaze percentage and temperature control during transport and cold storage. This helps to prevent freezer burn and the yellowing of the product while it is in transport and cold storage. Moisture level control is also key in producing a quality Haddock, and it is a focal point of ours as well. 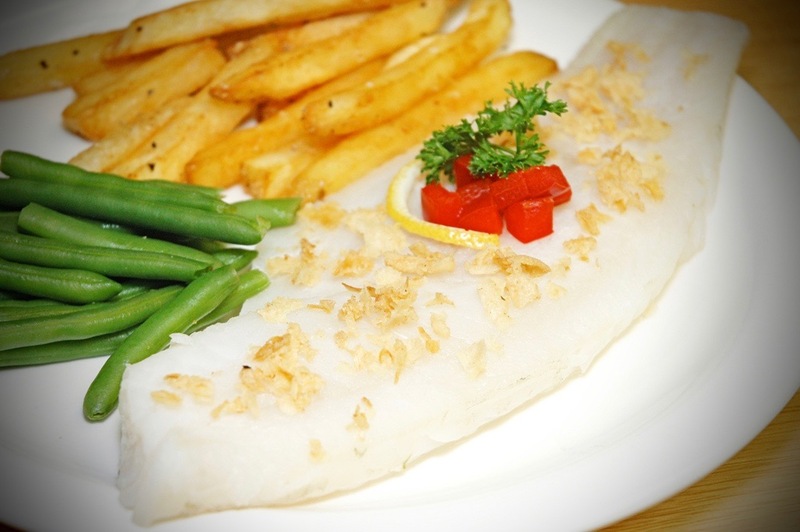 Haddock is most commonly breaded/battered and fried, baked, or broiled. It's mild flavor and flaky texture are its signature attributes, and this is why it is a favorite of U.S. seafood consumers.